Arctic Exposure is a leading Photography Workshop &amp; Photo Tour Travel Agency in Iceland &amp; the Arctic Regions. It was founded in Iceland by landscape photography guide Skarphéðinn Þráinsson with the aim of providing quality photo workshops and photo tours to photographers of all skill levels. With over a decade of experience photographing and running tours in Iceland, it has since grown and today offers Photography Tours to various destination in and around the Arctic regions. Arctic Exposure core purpose is providing quality Workshops & Tours for Photographers of all skill levels and has extensive knowledge organising and running Workshops in and around the Arctic. Our Photo Workshops & Photo Tours range from all-inclusive Workshops to guided day tours. We pride ourselves on providing highly qualified Photography Guides to help you improve your photography. 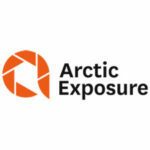 Join Arctic Exposure and experience photography adventure of a lifetime. We Photograph Glaciers, Icebergs, Ice Caves, Northern Lights, Lagoons, waterfalls, mountains &amp; all of the unique landscapes that characterize the Arctic Regions.